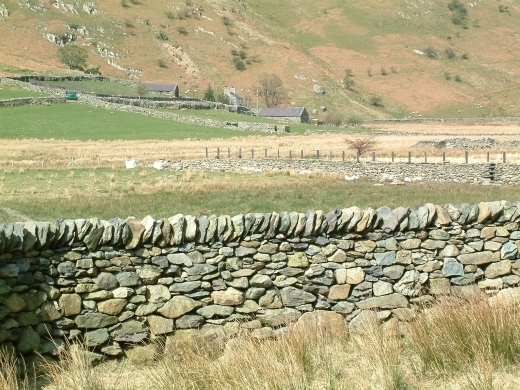 Blaen y Nant is situated at the head of Nant Ffrancon between Bethesda and Capel Curig. 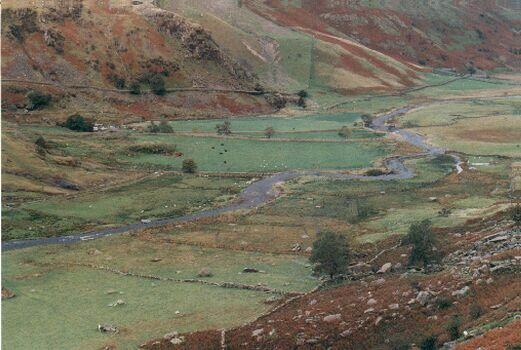 I have been working here on various farm grant schemes since 1997 . 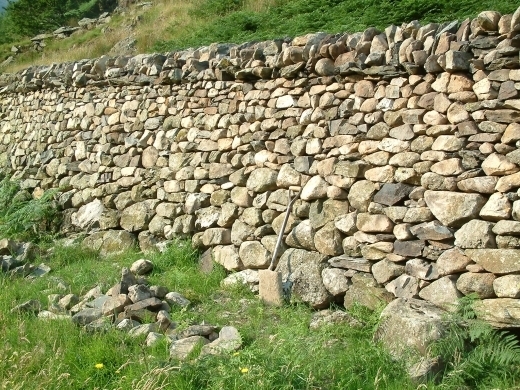 Currently the work is in its second 5 year Tir Gofal Scheme rebuilding approximately 195m² p.a. 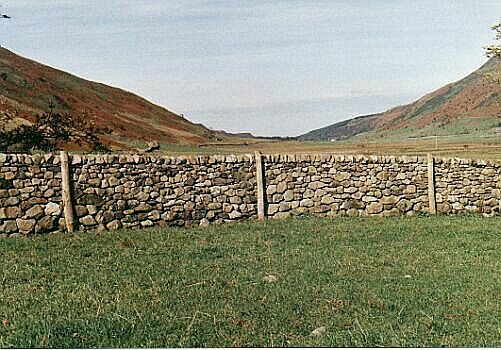 To date I have rebuilt around 2000m² of wall on the farm, initially with the help of I&K Hewitt. 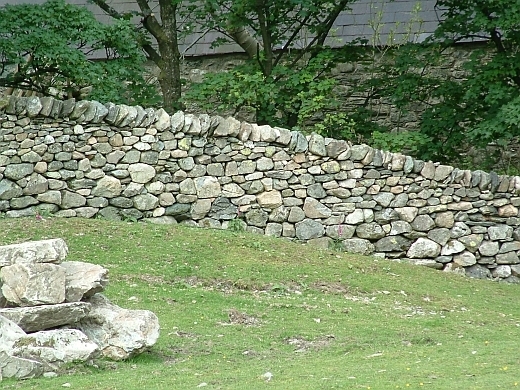 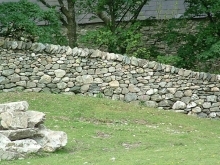 In 2002 Blaen y Nant was awarded the Snowdonia Society Farm and Landscape Award, with the walling receiving special mention.